A quilting book that can help beginners?? Right up my alley! :) I can use all the help and advice I can get. Thanks for the giveaway! Thanks for the most interesting questions yet, Vickie! And, Barbara gave great answers. Thanks for counting me in for the giveaways. Awesome give away!! Thanks for the chance to win it!! Take care! Yaaa!! I love quilt books!! This book looks amazing! 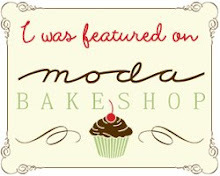 One day I will win on a blog... could it be this one?? What a stunning quilt! I love stars so this book is right up my alley☺ Great interview too, the part about honoring your husband-very good advice! I would love to be included in the draw. 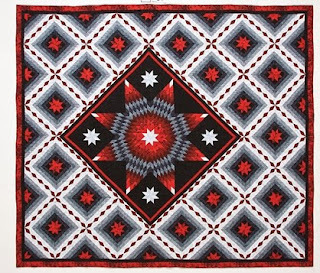 Barbara's quilts are so beautiful. What an interesting post and a great giveaway, thank you, hope I'm lucky. I'd love to win this fabulous looking book please. Great questions and answers. Thanks so much for sharing and for the chance to win! Always a hit in quilt designs. Vickie, any of these prizes are so generous. This book looks really good!! Great interview and thanks for a chance at a giveaway!! I would love to winthis book or the fovorite quilting notions, thanks for the chance. I'm looking forward to a copy of the book. 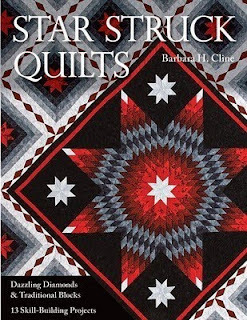 I would love to win this book as I have always loved making star quilts. I would love to win this book, her quilts are stunning.Thanks for the giveaway! I think her answers were wonderful! Another great thing for learners is to follow blogs. They are always so inspiring. Looks like an interesting book. I would love to win this one. Thanks for the opportunity!! I really want to win this book, the quilts are amazing!!! Would love to win this book, or any of the other items, but the book is wonderful. Thanks for the giveaway! Good advice for a marriage or any relationship!!! I love this book already and will buy it if I don't win. Loved the questions you asked, Vickie. Great book and the other prizes are wonderful as well...thanks for the giveaway. I love star quilts. My Grandmother who was Mennonite made many beautiful ones. I could use a little help though and this book is right up my alley! Great post Vicki. This book sounds amazing. Fun giveaway too! IN the day and age of rampant divorce, it is wonderful to see a woman who so loves, honors, and cherishes not only her husband, but the sacred commitment of marriage. thanks! I'd love to win a copy of this book or any of the other prizes! Thanks for the opportunity to win! 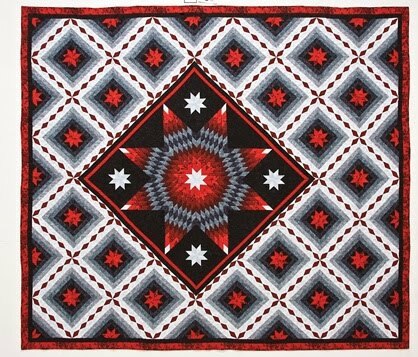 I love lone star quilts! I love stars! Please count me in, I would love to win! Sound like the life lessons Barbara put in her book will be just as interesting and useful as the quilting lessons. This book looks beautiful! I am so excited to see the quilts as well as read about Barbara's life lessons. I do think her statement about honoring our husbands is an important one. I'm glad you asked her the question. The quilts in this book look amazing and I would love to win a copy. Thanks! the quilts in that book are just magnificent! wow! i will definitely be putting that book on my must have list. Stars have always been my favorite patterns and I would love to have a copy of this book. Please count me in! This book looks so amasing! Isn't this a great book, and I enjoyed your interview with Barbara. Black and white and red all over. This book looks awesome! Thanks for all the information you provide on your blog. You are amazing. I am loving visiting on this book tour. Thanks for the conversation and the chance to win! Very nice 'tutes' on your blog and your interview with Barbara was interesting. This is my 7th stop on the Star Struck Blog Tour ... my first time entering givaways. I would love to win a copy of this wonderful book! I have loved reading more about Barbara--thank you! The quilts in this book are amazing! I would love to add it to my library! Great questions! I'm not sure I fully believe people who say they don't have a favorite color, but I appreciate her comment about shades and prettiness together, LOL! I'd love a chance to win the book--fantastic stars in there. Love the blog tour! I like reading all the Q&A sessions. This looks like a very nice book to have!! Thank you for all the words of wisdom. Awesome giveaway, thank you. This books looks very nice!! Thanks for the chance to win! Such beautiful quilts! I would love a copy of this book. Star blocks are my favorite blocks to make, too! I totally agree with the interview about honoring your husband. Competition can be fun but not at the expense of your husband's feelings. Such a great lesson all married couples should learn and remember. I can't wait to see more of the life's lessons as seen through Barbara's eyes in this book as well as learning more on quilting. This sounds more and more like a wonderful book anyone would love to own, or even better, win. Thank you Vickie for being part of the tour. Nice post. Count me in for the giveaway! Thanks! I am looking forward to using some new techniques in quilting and Barbara's book would be a great place to start! Thanks for being a part of the book tour! I love learning more about Barbara and seeing some new and interesting blogs! Thank you so much for sharing question #1. Thanks for another great interview! I like the advice to learn new things-important in quilting and in real life! I have followed Barbara's sisters blogs for a while. They a very talented family! I can't wait to see this book and especially to learn new techniques. Count me in. Great questions. I'm looking foward to seeing the book!!! what a fabulous giveaway! 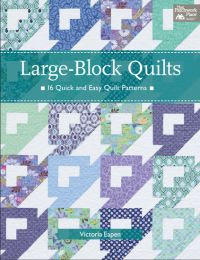 I am excited to see this book - I am new to quilting and need to learn so much! A truly awesome book! I would really like to win a copy! Would really like to win a copy of Barbara's book and try some of these star patterns. Thank you for the giveaway. Barbara's quilts are amazing! Thanks for this great giveaway! Wow - what a great givaway! Goodness, I keep forgetting about this and am always playing catch up. I would love to be included in the drawing. Oh gosh, I'm enjoying the blog hop, I'd love to win!! !, love all the prizes! As a relative beginner quilter, I appreciate the encouragement. 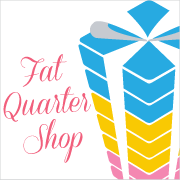 Winning some quilting supplies or a quilting book would also be encouraging! This book looks awesome. What a wonderful giveaway. Thanks for entering me. Her quilts are amazing. Thanks for the great interview. As a beginner I would love this book!!! I would be so happy to win this beautiful book, finger crossed ! I love how, where others might see mistakes in their work, she instead sees lessons, and room for improvement! Thank you for a chance to win her book! This is a very fun giveaway - love seeing all the new blogs! Yours looks like a good one to follow .Thanks. I am enjoying the interviews. Thanks for the giveaway. This sounds like a really interesting book! Thanks for being part of the blog tour and having the giveaway! I was gone over the weekend -- so maybe my comment won't count -- but just in case it does, I'm signing in now! Thanks for a great giveaway! Always enjoy your blog. I enjoyed all the interesting questions! Great post on Barbara's book! Count me in! I am enjoying this blog tour for Barbara's book. I'd love the opportunity to add this book to my growing collection. Thanks! I would love one of these books! It has really set my passion for piecing on fire. love this book AND the sisters!! Great advice from Barbra and I am glad I found your blog! Thanks for the chance to win the book or goodies too! Bye the way...cute flag project! If I don't win this book, it is definitely on my "to get" list. I am amazed. would love to win this book or the other prizes! thanks for the chance! Please enter me in the giveaway. I love the book and I think starquilts are beautiful, but difficult. Words of wisdom from Barbara. Thanks for sharing and good for you on creating this blog!